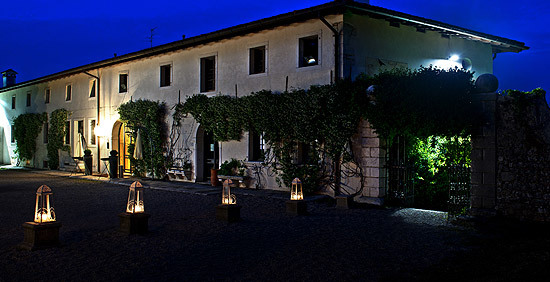 The Restaurant , located inside the historic Villa Barchessa Policreti, is animated by a spirit and a philosophy which aims primarily to improve and pay particular attention to the culinary excellence of the territory. Careful selection of raw products skillfully prepared by our chef, are transformed into delicious dishes served in a unique and charming environment. The cuisine is simple and inspired by our traditions, following the seasonal ingredients to ensure dishes which are always fresh and in harmony with what our beautiful land offers all year around. The unique and evocative atmosphere of the ancient Barchessa, which overlooks the renowned golf course to 18 holes with a breathtaking view of the entire valley, is the setting for two rooms of the restaurant, one enriched by a beautiful fireplace. Both rooms overlook the old terrace which faces the green of the surrounding park, enhances the set and in summer time it possible to eat outside. We like to think that we have created an opportunity for peaceful conviviality in an exclusive location, embracing the idea that the richness of the area should be shared and experienced by everyone. 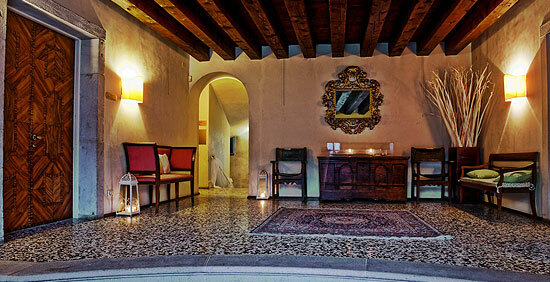 And Villa Policreti is one of them.